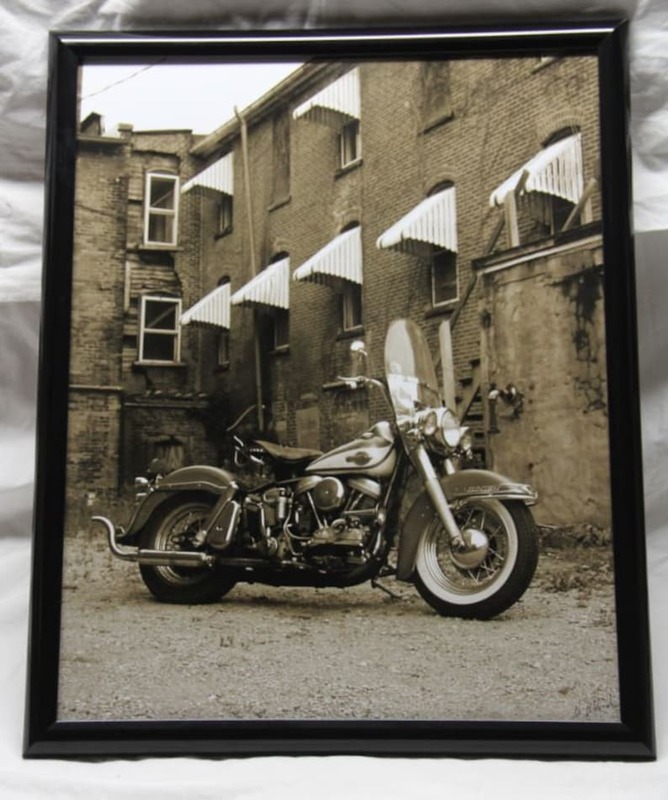 16x20 inch poster on heavy weight photographic paper (not cheap mass-produced poster) of a beautiful old Harley. Black and White poster, printed in "sepia" tone for an artistic appeal. Poster includes the frame.